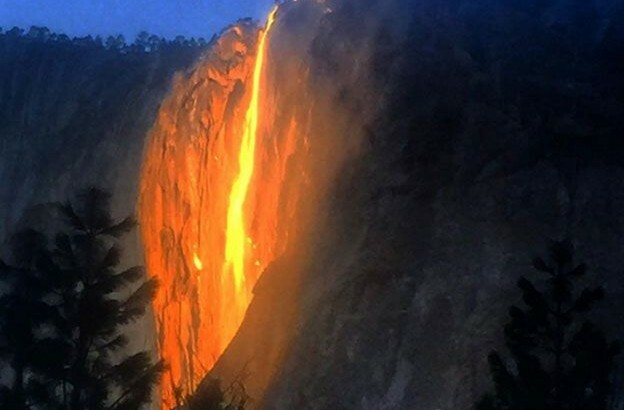 A rare phenomenon known as “firefall” has drawn visitors and photographers to Yosemite National Park in California. The stunning visual display happens every February when the light hits a waterfall tumbling down El Capitan. Νέα FIREFALL, YOSEMITE NATIONAL PARK. permalink.